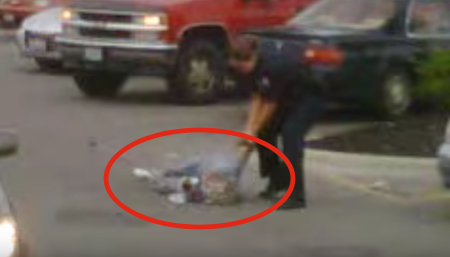 This video was filmed at Walmart in Columbus, Ohio – and it is very obvious that excessive force was used. Watch the video, and you be the judge. The situation was this – the family was moving and had just purchased silverware and kitchen utensils. The elderly woman was left in the car by herself. She was buckled into her seat and wanted to get out of the car, but she had no idea on how to unbuckle the seatbelt. She freed herself by cutting the seatbelt to get out. The woman, who was walking with a cane, had no intention of hurting anyone. However, the police found it necessary to slam this 87-year-old elderly woman to the ground causing her injuries and making her bleed. See Why These Dogs ‘Disappeared’ In The Snow – They Weren’t Expecting This! UFO Or Pick Up Truck? Watch And Decide For Yourself!